Central Park is one of the most famous landmarks in New York. This is where people go to enjoy in pure natural aesthetic beauty. Central Park covers 843 acres of land, extending all the way from Upper West Side to Upper East Side. This is the most visited park in all of the United States, and it draws approximately 40 million tourists annually. However, despite the fact that it’s so frequented, it still manages to feel private. You can walk along the lake, set up a picnic spot under the maple trees, or simply enjoy the day with your family. If you enjoy peace and natural beauty and you’re visiting New York, you should find a hotel located near Central Park. To that end, we’ve already done the research for you. 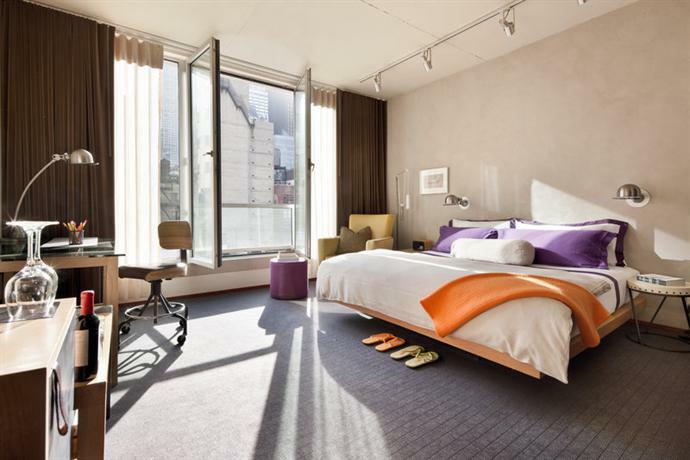 In this article, we’ve put together a list of the top 10 hotels near Central Park. The Ritz-Carlton New York Central Park is located on a quiet street in Midtown with Central Park located just across the street. In fact, you can treat all of Central Park as your personal front yard, it’s so close to the hotel! The Ritz-Carlton comes with several horse-drawn carriages out front which can take you for a stroll around the park. In addition to that, you’re also just a short walking distance away from prime attractions such as Fifth Avenue, Carnegie Hall, and Broadway. You can also find cabs anywhere around here and the closest subway is just about two blocks away so you can easily travel anywhere around the city. The hotel is designed in the aesthetic of a classy European mansion, with the generous use of a limestone facade, a wood-paneled lounge, and guest rooms featuring damask curtains and a gentle peach-pink color palette. The hotel also bears distinct Oriental touches in terms of its flower arrangements and certain patterns and designs. There are 259 rooms and suites in the hotel and they are available in a range of nine different categories. The best suites in the hotel are vast and spacious at 1900 square-feet. Furthermore, 83 of the rooms enjoy a direct view of Central Park, and these rooms come equipped with telescopes and an accompanying bird-watching guide. The rooms also bear a distinct and notable scent which is courtesy of L'arganique Beauté, as they’ve designed a scent called Central Park specifically for use by The Ritz-Carlton New York. You can also check out the hotel’s Star Lounge which is close to the lobby, as it features soft lighting, gentle music, and a bar with a creative and inspiring cocktail menu.The lounge offers a welcome respite after a day of exploring Central Park. Park Lane Hotel on Central Park, as the name suggests, is located right across from Central Park. If you’re hoping to stay in a hotel that either gives you easy access to Central Park or gives you a good view, you couldn’t find a better hotel than this. Park Lane Hotel on Central Park boasts one of the best locations in all of New York, and it’s designed and decorated with a sophisticated and elegant touch. Furthermore, the hotel is located just a short 2-minute stroll away from 5th Avenue which is lined with some of the best boutique outlets and shopping stores in the city. 59th street with its subway tunnels is also close by, thus connecting you to the rest of the city. The general aesthetic of the hotel is extravagant and opulent but it features a lot of full-length windows so as to allow plenty of natural light to sweep in and also offer a stunning view of Central Park to all the guests. 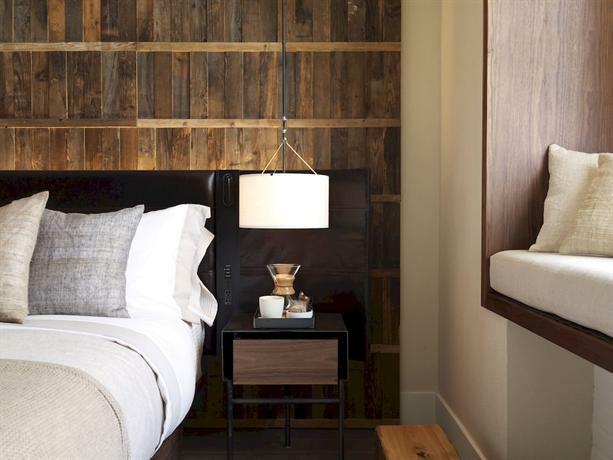 Every bit of the hotel has been designed so as to trust embody the aesthetic of being a Central Park hotel. The guest rooms in the hotel are designed in muted neutral colors of beige and olive green, however, they too feature large oversized windows from which you get a clear and uninterrupted view of Central Park. 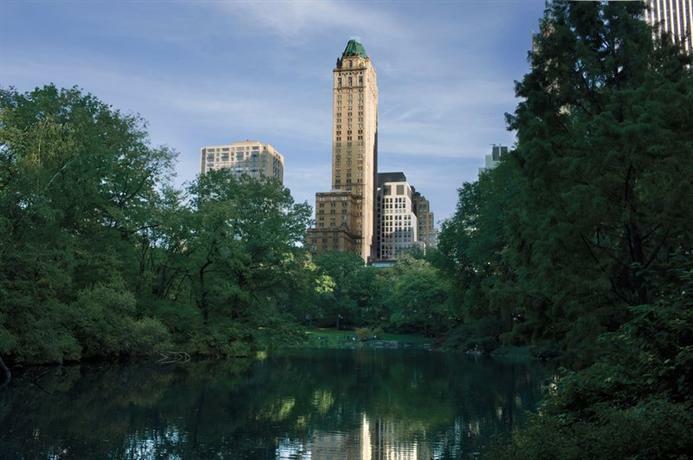 There are 628 rooms in the hotel, however, only some of them enjoy a view of Central Park so you must choose wisely. The hotel also features an on-site restaurant called The Park Room Restaurant and a bar called Harry's New York Bar. Both of them offer a tempting menu and they’re considered to be amongst the finest restaurants in the city. 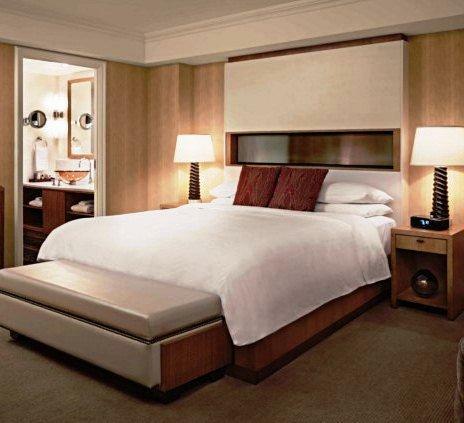 AKA Central Park is a hotel on 42 West 58th Street which offers condo-style rooms. It’s located just a short 160 meter walk from Central Park and the other prime attraction of Grand Central Station is just a kilometer away. The hotel is also located just a minute away from 5th Avenue, which is the main shopping district in the city, featuring stores by Dolce&Gabana, Tiffany, and others. The hotel is designed in a minimalist and modern style, and to that end, the apartments are pretty monochromatic with various shades of grey. They come with plenty of windows which allow natural light to seep in, and some of the best rooms also enjoy a direct view of Central Park. The hotel also comes with other amenities such as a fitness center, an on-site restaurant, a bar, and other facilities and conveniences. 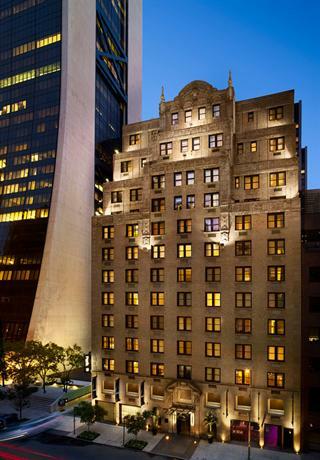 JW Marriott Essex House New York is located in Midtown, just a short 2-minute walk from Central Park. The park is located just across the street from the hotel and you can find plenty of horse-drawn carriages in the vicinity that can take you for a stroll around the park. Other prime attractions in close vicinity are 5th Avenue and Carnegie Hall. This hotel is art-deco in all of its public spaces, however, the rooms are all business classic featuring neutral shades of beige, taupe, and white. The rooms in the hotel come in a range of different sizes and most of them enjoy a view of the New York skyline and Central Park as well. However, to enjoy those views, you’ll have to seek the correct room in one of the higher floors. 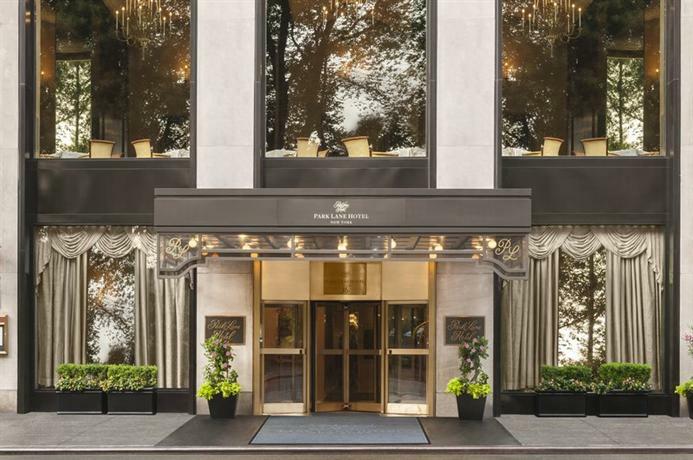 1 Hotel Central Park is also located in Midtown on East 58th Street, and as such it’s just a short block away from Central Park. While this hotel doesn’t have the privilege of calling Central Park its own front yard, it’s still close enough for you to easily walk over and also get a clear view from one of the higher rooms in the hotel. 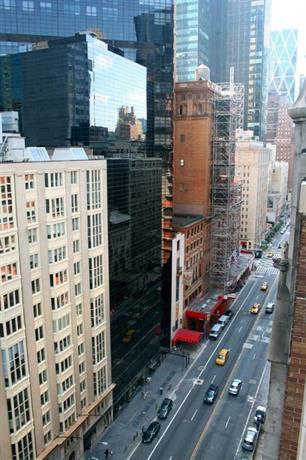 Madison Avenue and 5th Avenue are also within a short walk away from the hotel. This is considered to be an eco-hotel in keeping with the aesthetic of Central Park itself. You can distinctly see ivy growing around the outside of the building and even the interiors feature over 24,000 potted plants. 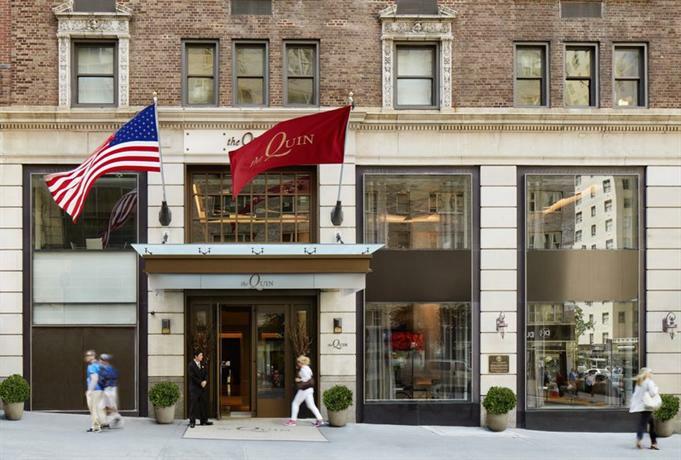 The Quin is located on West 57th Street, approximately two blocks over from Central Park. 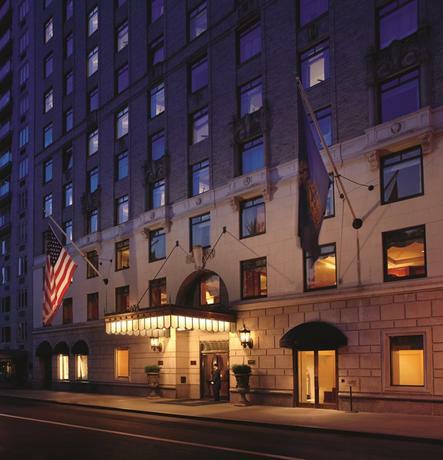 Other prime attractions in close vicinity of the hotel are Carnegie Hall, 5th Avenue, and Madison Avenue. Even though it might come off as a business hotel, The Quin is actually quite an artistic hotel as it uses all of its public spaces to regularly host artistic and performing arts events. The rooms in the hotel are designed in an extremely contemporary and modern style and feature a color palette comprising largely of shades of brown. Chambers Hotel is located in the very heart of Midtown, on West 56th Street, which puts it about three blocks away from Central Park. You can easily walk over to the park within 5 minutes. New York’s prime attractions — MoMA and 5th Avenue — are a short stroll away. This is a 14-story building with 77 rooms available, and all of them feature high ceilings and approximately four local artworks gracing the walls. The general color palette in the hotel is muted and neutral, breathing in quiet masculinity with agents of brown and leather. The Pierre A Taj Hotel New York was built way back in 1930 as a typically Art-Deco hotel, and it enjoys direct access to Central Park, which is located just outside the hotel. The accommodations in the hotel are designed in a manner so as to exude quiet luxury with the use of an earthy color palette comprising olive green, beige, and white shades. There are a total of 189 rooms and suites here and all of them come with high ceilings and plenty of natural light. However, only some of them also look out at the Central Park. As such, you should be careful about which room you choose. Salisbury Hotel is located on West 57th Street in Midtown. As such, it’s just two blocks down and around-the-corner from Central Park. The hotel features 196 rooms and suites and all of them are elegantly designed in a warm color palette featuring a golden shade along with beige and soft brown. In addition to Central Park, one of the other prime attractions in close vicinity to this hotel is Carnegie Hall, located just a few steps away from Salisbury Hotel. Trump International New York is a 52-story 5-star hotel located on West 60th Street, on Columbus Circle, just a few steps away from Central Park. In addition to being so close to Central Park, Columbus Circle is also home to the city’s subway station which you can use to easily get around the city. 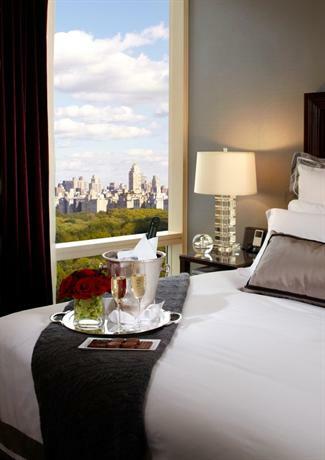 All the rooms and suites in the hotel feature full-length windows that enjoy a sweeping view of Central Park all around. If you take a room higher up, you can also look out at the New York skyline.